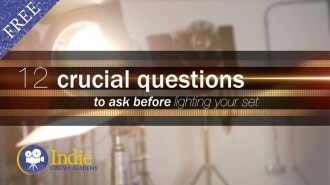 In our previous article titled “Understanding Color Spectrometers”, we discussed the importance of using a color spectrometer to test all lights used on set, as well as testing the effects of different gels and filters. Next we are going to review the top three brands of color spectrometers made for the film and video industry to see if they are up for the task! Over the next few articles we’re going to look at how much useful information you can get from each meter, how easy they are to use, and if they are cost effective to purchase or if it’s better to rent. 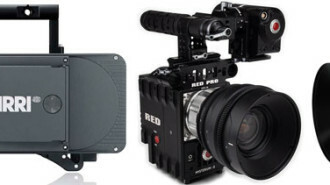 This article will start at “A” – Asensetek Lighting Passport meters – with subsequent articles covering the Sekonic C700 meter then the UPRTek CV600 meter (which is sold by Ikan). Disclaimer: Asensetek supplied us with the Lighting Passport spectrometers used for this review, although there was no other compensation for us writing this review. However our review is unbiased, and is entirely our own evaluation of the products. We used the same standards and criteria for all of the spectrometers in this review series. For this article the following spectrometers were evaluated, both made by Asensetek. We have been using the Lighting Passport Essence for three years and have had never had issues with its functioning or measurements. In fact as we periodically retest various lights to see if there are any changes in the spectrometer or the lights, we consistently find the measurements to be unchanged. This tells us that even with no recalibration in three years, the original Lighting Passport Essence that we received still works very well. We received the Lighting Passport Standard Pro six months ago and have been doing numerous tests with it sampling a wide range of lighting technologies: incandescent, daylight high-intensity discharge lamps (generic HMIs), fluorescent, and LEDs. 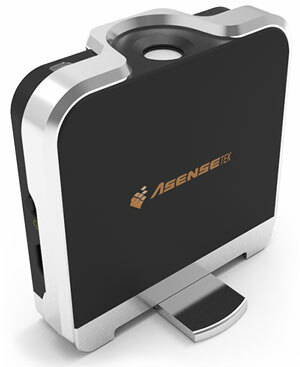 The Asensetek Lighting Passport spectrometers are small, lightweight instruments that work in conjunction with tablets and smartphones. The spectrometer captures and measures the light being evaluated then transmits this information via Bluetooth to your tablet or smartphone. Various apps made by Asensetek work on tablets and smartphones not only to control the spectrometer, but also process the data and create the graphics. It is important to emphasize that without a tablet or smartphone, this spectrometer is just a small black box; you cannot sample or store data with only the spectrometer. This is actually a huge plus because it keeps the spectrometer small and low-power, and you don’t need to pay for computing power or a touchscreen since that is already contained within your tablet and smartphone. The specific apps that process the data are designed for certain industries and uses. (Most but not all apps are available on both Android and Apple platforms.) 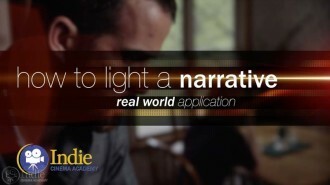 Available apps includes the three for the video and film industry and one for the agricultural industry. The apps for the video and film industry include: one for general processing of the data (Spectrum Genius Mobile PLUS, which is starting to replace the original Spectrum Genius Mobile), another app for measuring transmittance (Spectrum Genius Transmittance), and a final app for working with TLCI and gel/filter recommendations (Spectrum Genius Studio). Since you need both the meter and your smartphone to take a measurement, technically the kit is larger. Additionally there are times when taking measurements requires both hands so some people might find it cumbersome. The Lighting Passport can come with a smartphone mount to make this easier. Another option, which I use a lot in the studio when testing lights and gels, is mounting the Lighting Passport spectrometer to a C-stand using a clamp or Cardellini clamp. Since the spectrometer communicates with your smart phone via Bluetooth, mounting it in out of reach places or attaching it to a long rod to test ceiling mounted lights isn’t a problem. This isn’t anywhere near possible with other spectrometers on the market since those require pushing buttons on the meter itself to take a reading. The Lighting Passport spectrometers contain an internal battery that cannot be removed. It is charged via a USB cable, and can still be used when it is plugged in and charging. Current Price (March 2018) is $1295 for the Lighting Passport Essence Pro and $2295 for the Lighting Passport Standard Pro. 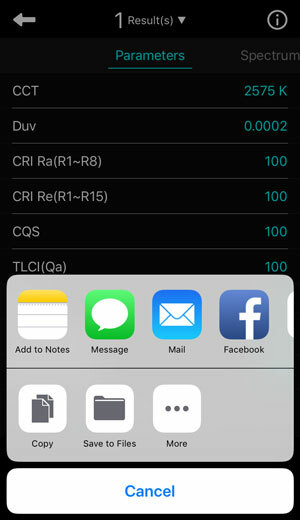 There is an introductory spectrometer called the Lighting Navigator that is $750, however only the Lighting Navigator app works on it, which is a bare bones app that only gives the user color temperature (CCT), CRI (Ra), and Illuminance along with a spectrum of the light and the ability to compare the spectra from two fixtures. The entire line-up of Asensetek’s Lighting Passport spectrometers are very easy to use. The apps that process and present the information are intuitive and full of features. 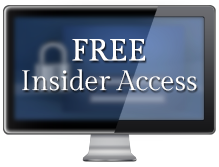 They are well thought out, easy to navigate, require very few steps to operate, and give massive amounts of information. A huge plus to having the processing done by an app is that they can easily be updated, improved, and new features added. Results from all apps can shared via text and email. 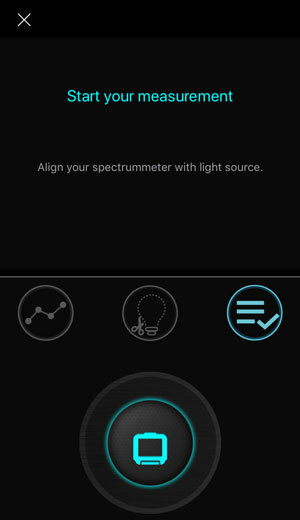 Measurements from Spectrum Genius Mobile PLUS app can also be uploaded to a cloud-based system called Spectrum Genius where you can see other people’s light measurements. Lighting Passport is as responsive as your smartphone. In other words, it is fast! In rare instances it can be a little slow between certain menus within the app, but relative to other spectrometers this really isn’t an issue. The graphics are vivid, colorful, and informative. Buttons for navigation are easy to click on, and scrolling/swiping through your records is as fast and fluid as you would expect on a smartphone or tablet. The Lighting Passport is VERY straight forward. Upon opening the app, there are often just two clicks to get to the data sampling page. After sampling a light fixture, all data is presented in sequential screens that you swipe through. The lighting Passport apps boot up fast, but sometimes takes a few seconds to sync with meter. The dark calibration is automatic and happens in the background when you open the app. There is no need to cover or close the sampling window for dark calibration. For the main app (Spectrum Genius Mobile PLUS) you first confirm all measurements that you want the meter to test, then you can measure. This only happens once unless you back out of the measurement section of the app. You can first subtract any background light if needed. Once you take a measurement, results are normally ready nearly instantaneously. However, dimmer lights sometimes take a few seconds. Naming your data file is the same as writing a text on your phone and can be “as long as you want.” (I have not tried to see if there is a character limit, but haven’t run into one despite my long file names.) Some Spectrum Genius apps don’t allow certain characters such as hyphens, which can be annoying. When I am testing the same light or same brand, I tend to copy and paste certain parts of the file name so that I can do it faster; it also reduces typos. 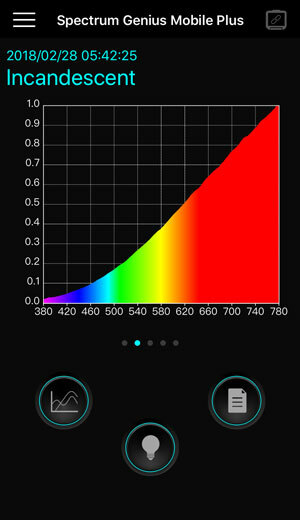 The Spectrum Genius Mobile PLUS app allows you to take a number of samples of the same light, and it saves it as a group. Then the app compares them all and shows you the range. The ability to compare two lights is a great feature to compare nuances between lights and relative brightness. 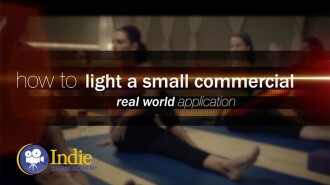 It is also great because the user can compare the effects of adding various light modifiers and gels to the light. During this comparison you can compare the raw data or have the app normalize it based on the most intense wavelength. It is easy to recall data from memory. In fact all the lights I have ever tested are still on my smartphone (currently around 4200 measurement records for over 600 lights going back two years as of this writing). I am constantly pulling up spectra and data in conversations with DPs, directors, as well as people learning about color and light, so having all of the records natively on my phone makes showing and comparing results at a moments notice very easy! Sharing results takes just a few keystrokes, but emailing many results from the original Spectrum Genius Mobile app is a bit laborious because you have to do it one by one. PC users can move data in bulk, but it requires purchase of the PC software. The newest app Spectrum Genius Mobile PLUS allows the user to upload all results to the cloud-based Spectrum Genius as mentioned above, and this can be automated. 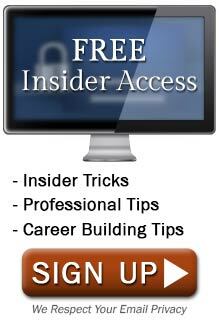 This makes sharing results much easier since bulk links can be sent in one email to all the results in the cloud. Since this article is reviewing Lighting Passport Spectrometers, we will be reviewing the apps in a separate article. However, since the apps are needed to operate the spectrometer it is hard to write a review of the meters without mentioning them. Below is a general assessment of the apps. 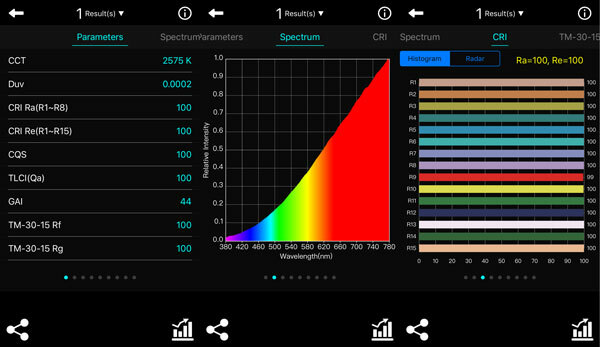 The Spectrum Genius Essence app is the general app that is most frequently used with the Lighting Passport spectrometers. We have used this app for the past two years and find it full of valuable measurements and graphs. (All of our measurements in our LED Database — containing around 400 LED fixtures — were taken with this app combined with the Lighting Passport Essence meter.) 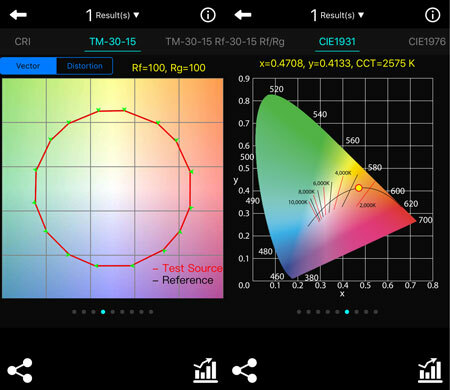 This app measures lights and gives all standard results such as duv, CRI (Ra), CRI (Re), CRI (Re) histogram, TLCI (value only), TM-30-15 (graphic and values), spectrum, chromaticity diagrams (CIE 1931 and CIE 1976), lux, footcandles, etc. The user can also compare two lights, take continuous measurements of a light over time, and measure the combined result of multiple lights. 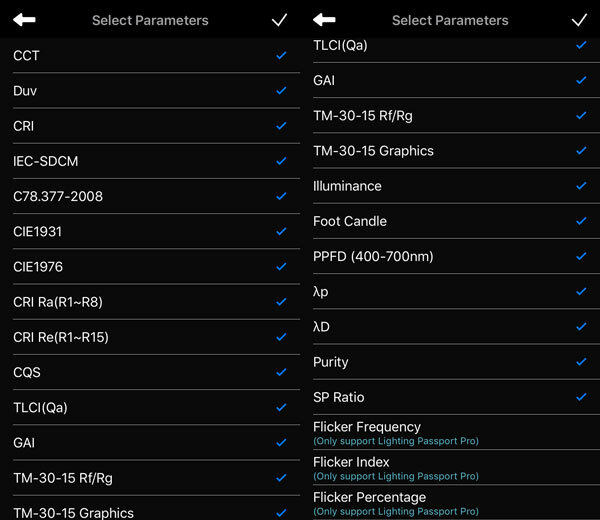 Since the Lighting Passport Standard Pro also can measure flicker, when this app is connected to a Standard Pro spectrometer additional flicker options are enabled. 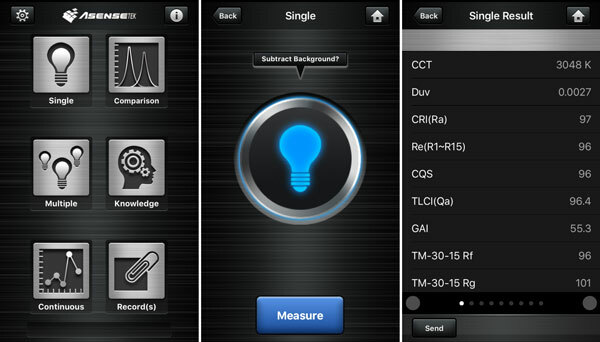 The Spectrum Genius Mobile PLUS app has all the same features as SGM, but the user interface is greatly improved. There is also the ability to upload results to the Spectrum Genius cloud. My guess is that SGM+ is going to replace SGM, and SGM will be removed from service. 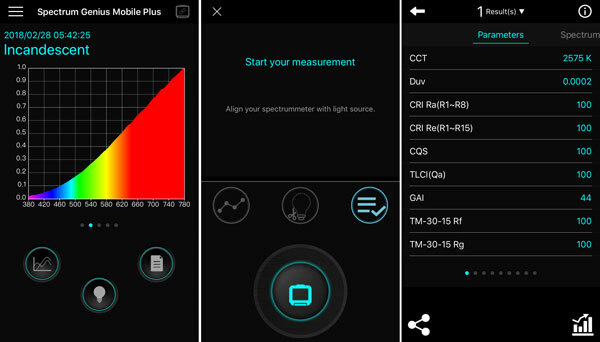 The Spectrum Genius Transmittance app allows the user to measure the transmittance through various objects such as lenses, filters, screen protectors, windows, etc. This involves measuring just a light, then measuring the light after it is transmitted through the object. The transmittance is given as a spectrum showing before and after and difference between the two. The Spectrum Genius Agricultural Lighting app allows the user to measure grow lamps and horticultural lighting used in agricultural production. This allows the user to determine grow light distribution at each wavelengths so that lighting can be optimized for the wavelengths of light different plants need at different stages of development. The Spectrum Genius Studio app is focused on TLCI information including showing a TLCI chart. 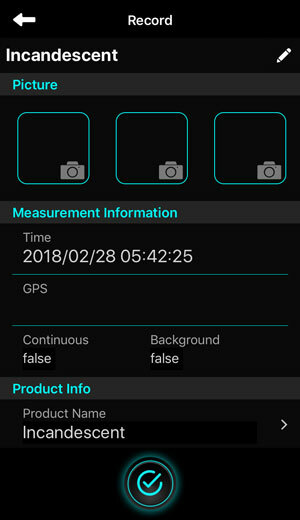 Additionally it gives white balance information and suggests color correction filters for lights and camera, along with color correction information useful for the color grader. All apps are very intuitive and easy to use. Graphics and interfaces are straightforward and pleasing to the eye. I do enjoy using the SGM+ more than the SGM that it is replacing, however the SGM app was already great. A frustration for me was due to my tendency to have long file names, since we do a lot of testing of lights and need to be very specific. The way the SGM was designed, it was hard to read the last half of long file names, which made it difficult when quickly searching for specific fixtures especially in the comparison menu. But the SGM+ interface corrected this. The only app I have a little issue with is the SGS app since it is less intuitive and many times I forget how to get to different features. I would have preferred all features be within one app, but I think the idea was to specialize each app for different industries so that each app was streamlined to specific needs. The downside of having features split between different apps is that measurements have to be taken twice, once within each app. This is especially true of TLCI, since the SGM and SGM+ only give the TLCI average value and not individual values. The two Lighting Passport spectrometers reviewed in this article work marvelously. They are very similar, although there are two nuances that are significant. First off the optical resolution of the Standard Pro is 8nm while the optical resolution of the Essence and Essence Pro are 10nm. These are very high optical resolutions and are due to Asenstek using diffraction grating technology in their spectrometers, which is impressive given the small size of the meters. 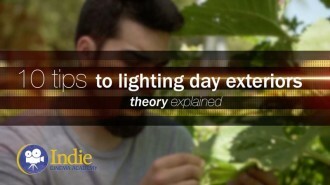 As we mentioned in our article “Understanding Color Spectrometers,” this difference of 2 nm is significant when it comes to measuring daylight high-intensity discharge (HID) lamps and fluorescent fixtures. 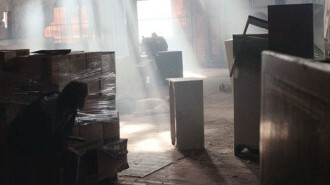 (HID lamps are the lighting technology used in HMIs.) (Note: LED tech doesn’t have narrow spikes so lower optical resolution is fine.) The reason is that these two lighting technologies have a lot of narrow spikes that can be missed or downplayed with lower optical resolution spectrometers. When we were testing numerous lights with all the meters in this spectrometer article series, we regularly got significantly different results for low quality daylight HID and fluorescent lights. But we will save that discussion for our comparison review article. I’ll just say that both of the Lighting Passports were fairly close when measuring daylight HID lamps and fluorescents; the other meters had some wildly different results at times. Asensetek tells me they are working on a separate flicker meter that should be coming out soon. It will have the following features: 1 – 100k Hz Flicker Frequency, Percent Flicker, Flicker Index, SVM, Twave, FFT Output, IEEE 1789, Pass/Fail Function, Stroboscopic Effect, and Phantom Array Effect. All values of color quality, color temperature, spectrum, etc were what we expected so for all intents and purposes, the Lighting Passport spectrometers did an excellent job accurately sampling the lights we tested. For standard light sources — sunlight, incandescent light, and high quality LED light — all the meters we tested agreed within the reported and expected amount of error. 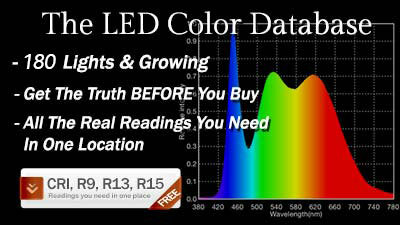 This includes every measurement, from color temperature, duv, individual CRI R-values, and TLCI. In fact, for incandescent and daylight every meter essentially reported exactly the same reading. This tells me that the Lighting Passport meters are very accurate. (Or else every meter on the market is equally bad!) We will save further comparison of all meters for our spectrometer comparison article. Lighting Passport spectrometers are small and easy to hold in your hand. They take up so little room in your kit bag that it is easy to take anywhere you go. The responsiveness and well designed screens within the apps make it easy to sample lights and immediately get all the color results for your fixtures. I love that you can easily store and share results even years later. It allows you to discuss color qualities of your lights with your team anywhere. And now that there is a cloud based community where everyone can share their color measurements, you can learn about other lights and other lighting scenarios. We were VERY impressed with both Lighting Passport spectrometers tested. The combination of small size, highly accurate and reliable measurements, lists of valuable measurements, and the meter tapping into the power of smartphone and tablet computing power and responsive touch screens results in a big thumbs up from us. Additionally, with the Essence Pro priced at $1295, that meter is actually $100-$200 less than the competitor spectrometers made for film and video. The only reason I would recommend the Standard Pro over the Essence Pro is if you are expecting to measure HID lamps or fluorescent fixtures, which would mean you would need to be aware of any spurious spikes and valleys. What are your thoughts of these meters? Are there features that you need that aren’t part of the Lighting Passport meters or apps? Do you have a spectrometer that you prefer to use? Let us know in the comment section because we would love to hear your thoughts! I really appreciate this content. 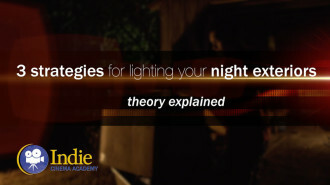 I’ve learned so much about light from your site. I purchased an Essence Pro after renting a Sekonic. I had a really hard time getting the data off the C700. As you point out, that’s not a problem with having all the data on your phone or tablet. It took me a while to figure out how to read all of the graphs, but having all of this data is a huge plus. I agree that it would be nice if they could combine all of the functionality into one app. I like the new cloud syncing and sharing feature too. Glad to help! 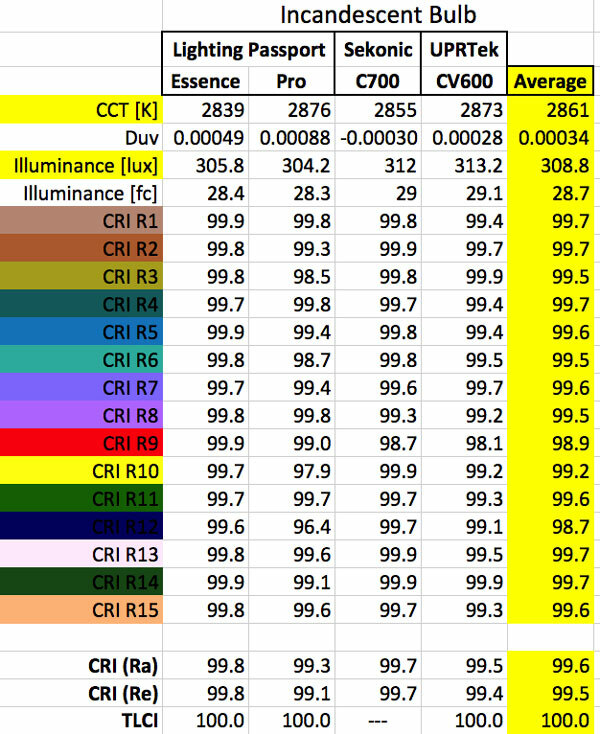 There is so much valuable information that a spectrometer can tell you about lights, and I’m always learning new things as I compare lights. Now that you own a spectrometer, I hope you explore and test lots of things. Test sun and daylight at different times of day during different weather and in different locations around the world. Test lights before and after you gel them. 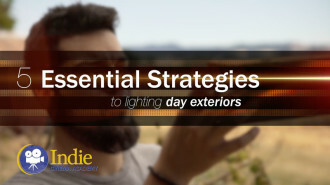 Test lights right when you turn them on then again at the end of the day. Test light as it is reflected off of different materials. All this exploration will teach you so much, and will help you know how to create the exact coloring and white balance needed for different projects. Great suggestions, Tim. I often take it light shopping at stores like IKEA. I’ve been annoying family members by evaluating their home lighting. Fortunately, it’s a small device, it doesn’t take long to get a reading, and it’s easy to study later so people aren’t waiting on me. I’ve been very surprised at how much light modifiers change the color of a source working on a variety of video projects. Thanks again for the reviews. 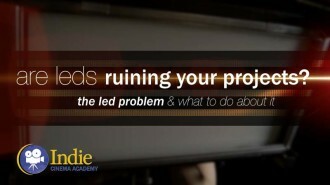 You incorrectly use phrases such as “low quality HMI”… to apparently describe some brands/types of metal halide lamps. HMI is a registered trademark and invention of only one company- OSRAM. Only OSRAM makes HMI lamps, and since OSRAM’s quality for these lamps is exceptional (they’ve won numerous awards for both inventing the technology and improvements over the years), your comment about “low quality HMI” is both misleading and wrong. If you wish to state that you measured some “low quality Daylight spectrum HID lamps”, that would be a far more accurate statement. Thank you for the correction. I didn’t realize that HMI (hydrargyrum medium-arc iodide) was a trademarked name for OSRAM’s daylight HID (high-intensity discharge) lamp. 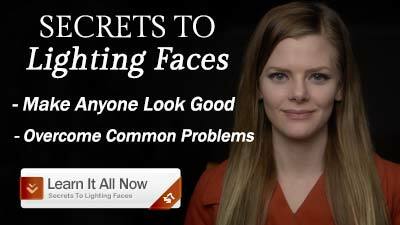 Yes, OSRAM does make the best daylight HID lamps and are known for it! We use the abbreviation HMI so often that I assumed it was a generic name. I will correct this in the article, and be more accurate in the future.